We are counting down until the weather warms up (and stays warm, shout out to Utah weather…). With summer comes all of our favorite treats, ice cream, popsicles, snow cones, and basically any other form of frozen sugar we can find! These sugary treats are great, and you have probably noticed that we like our fair share of yummy treats, but sometimes you need something a little lighter to fuel your body. 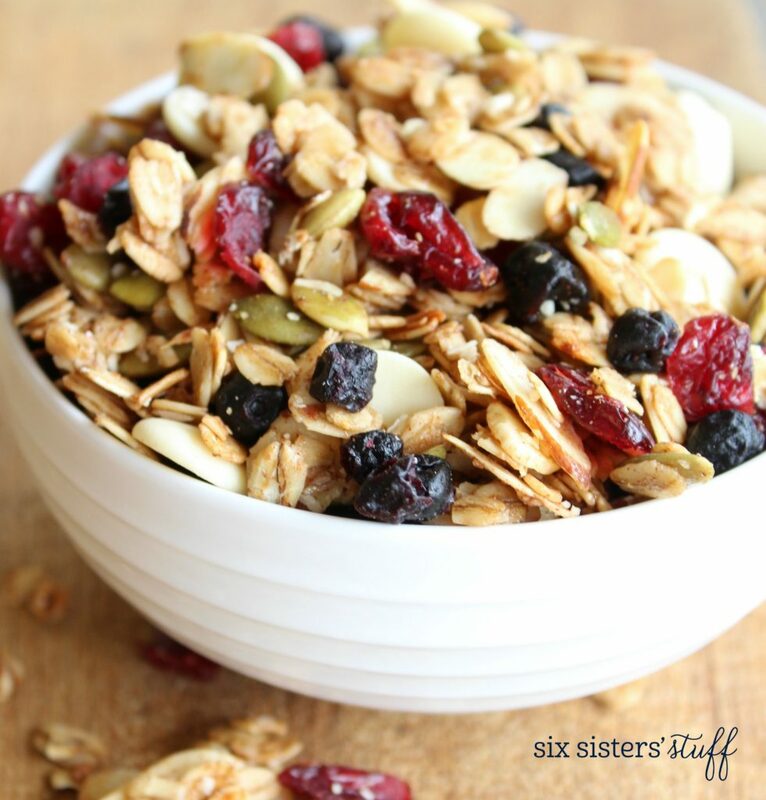 This homemade granola is a great option for breakfast or a snack during your summer. Add your favorite nuts, or a different variety of fruit to make this the perfect summer treat for your family! In a bowl, mix together granola, almonds, and cinnamon. Lay granola mixture flat on the parchment paper and bake for 10 minutes, stirring halfway through. While baking, whisk together coconut oil (may have to microwave to soften), syrup, vanilla, and salt. Remove granola from oven and sprinkle with coconut. Drizzle coconut oil mixture overtop. Mix to coat all granola in mixture and spread out coconut. Place granola back in oven and turn oven OFF. This will allow the granola to continue roasting without burning. Let it roast for 8 more minutes. Let granola cool for 30 minutes on the pan or until crunchy. Transfer granola to a bowl, and mix in berries and yogurt chips. Enjoy!